I pre-ordered this a while ago (only $19.95!) and it just arrived. 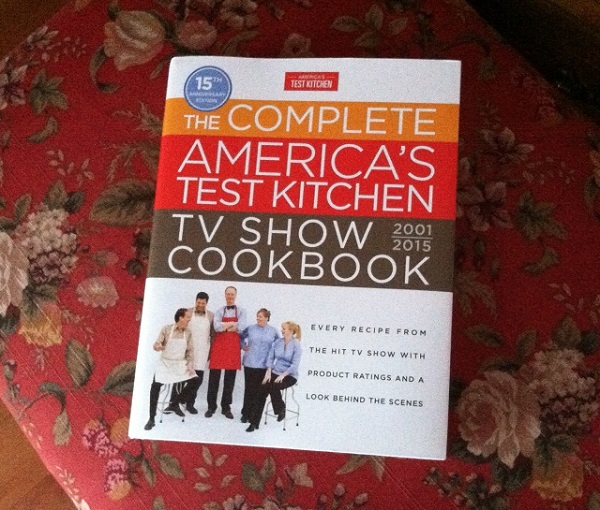 Nine hundred-ish recipes. Paul and I both love this show, and I love the Cook’s Illustrated magazine which is by the same folks. I’ve made several of their recipes before and they are great. What I love most is that they explain why the way they cooked something is the best way – and have tested 80 million different ways of cooking it to come up with that way. I have been reading it page by page to see every single recipe and I can’t decide what to make first. FYI — I wouldn’t recommend reading this in bed. I tried. It’s an 80 pound book. 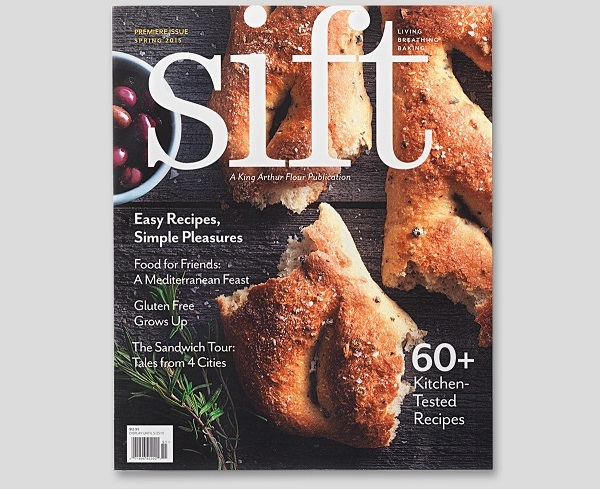 The premiere issue of King Arthur Flour’s Sift magazine. Can’t wait! In the mean time, I found this recipe which I’m planning to make and bring to the two knitting classes I’m teaching tomorrow. After I give some to Paul, who probably deserves some for his patience in walking around with holey slippers. Food always helps smooth over that sort of thing, don’t you think? 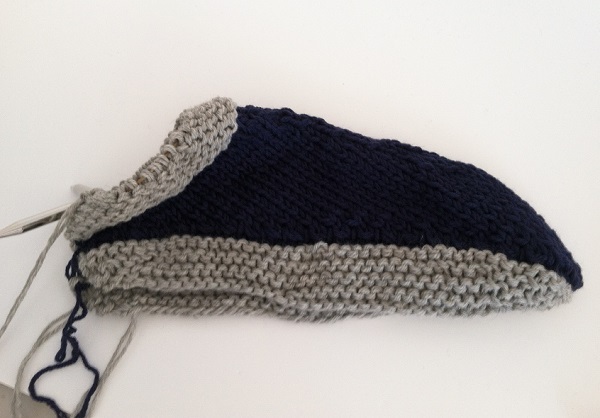 Posted in Uncategorized and tagged america's test kitchen, felted slippers, sift on March 6, 2015 by lizytish. Love the title of this post! Saw Sift magazine on the rack at Hannaford. Very impressive! Keep the menu suggestions coming.